Shogi is the Japanese variety of chess. It is the most popular board game in Japan. The main added feature is that a captured piece becomes a member of the opposing army and can be dropped back into the game later on. 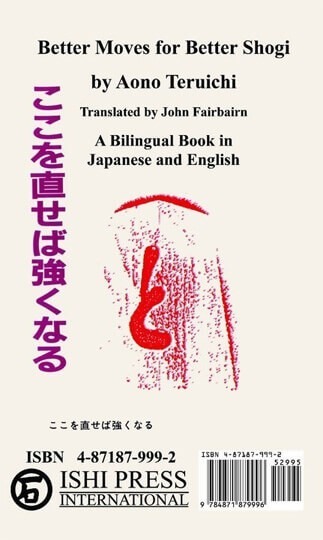 This book is by far the best and the most advanced book ever written in the English language about shogi. It goes through all aspects of the game, including complicated opening variations.